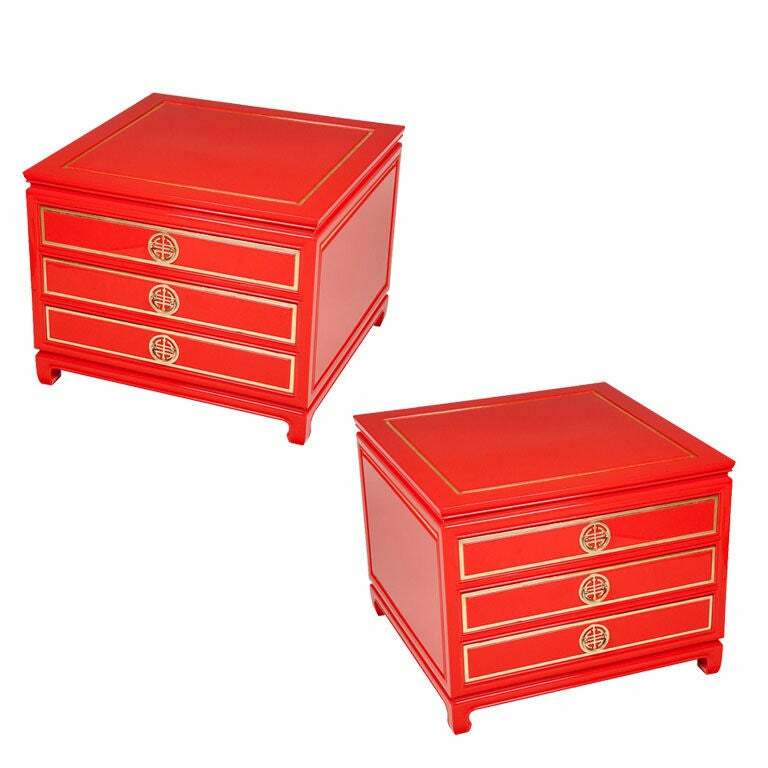 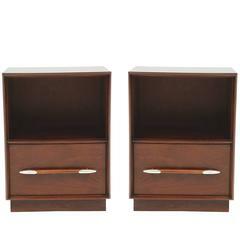 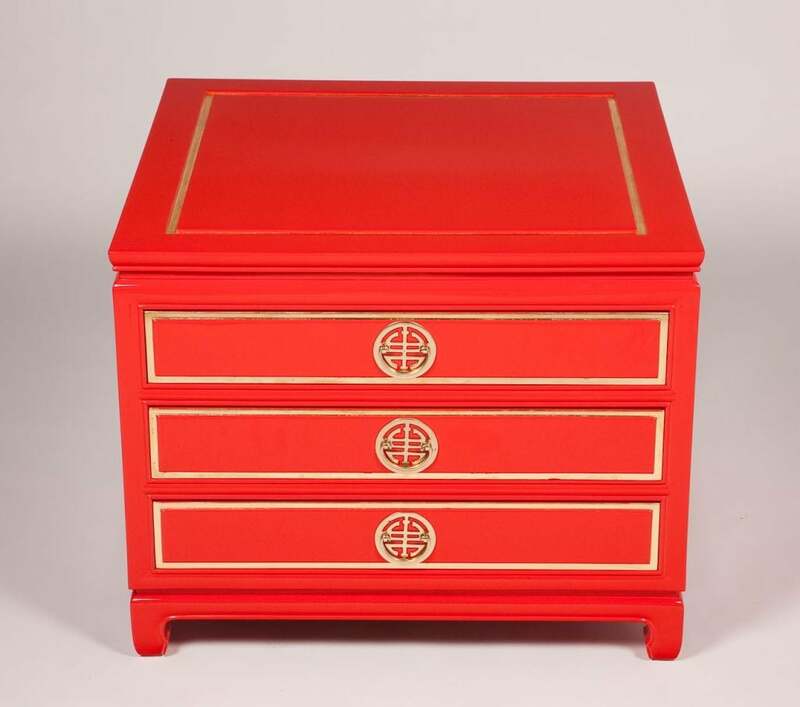 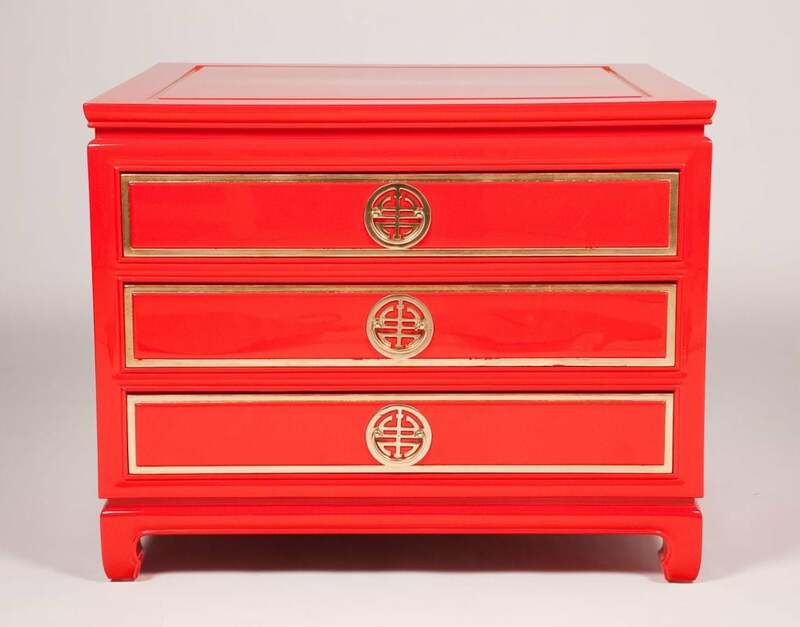 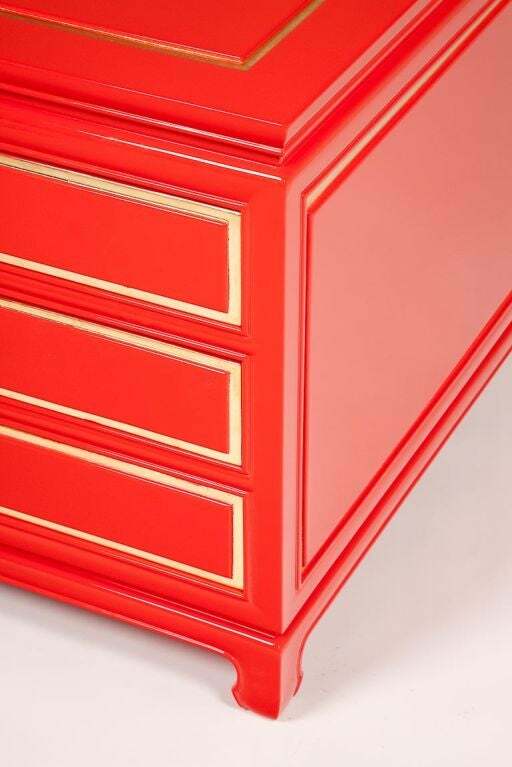 Exceptional pair of Chinese Red Lacquered 3 drawer side tables or nightstands with gold leaf banding and satin brass hardware. 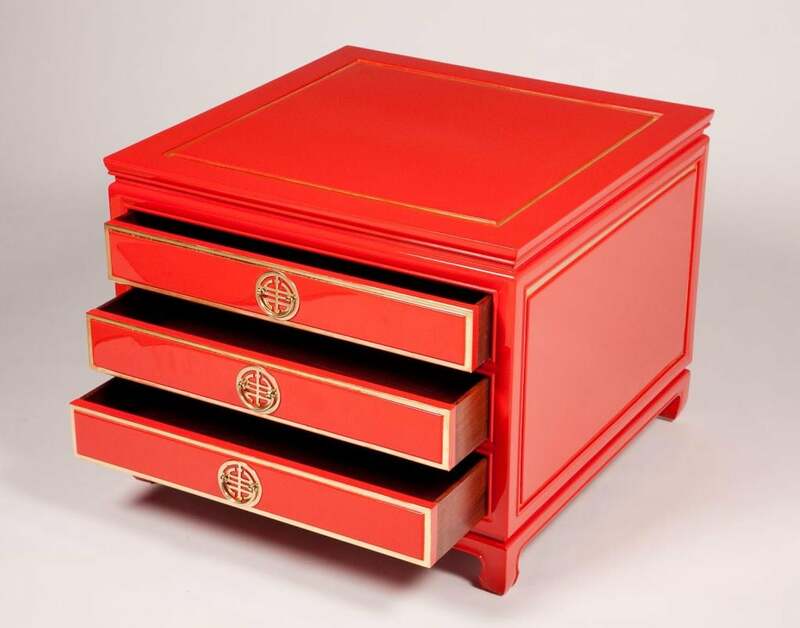 Pieces are finished on all 4 sides which allow them to float in a room. 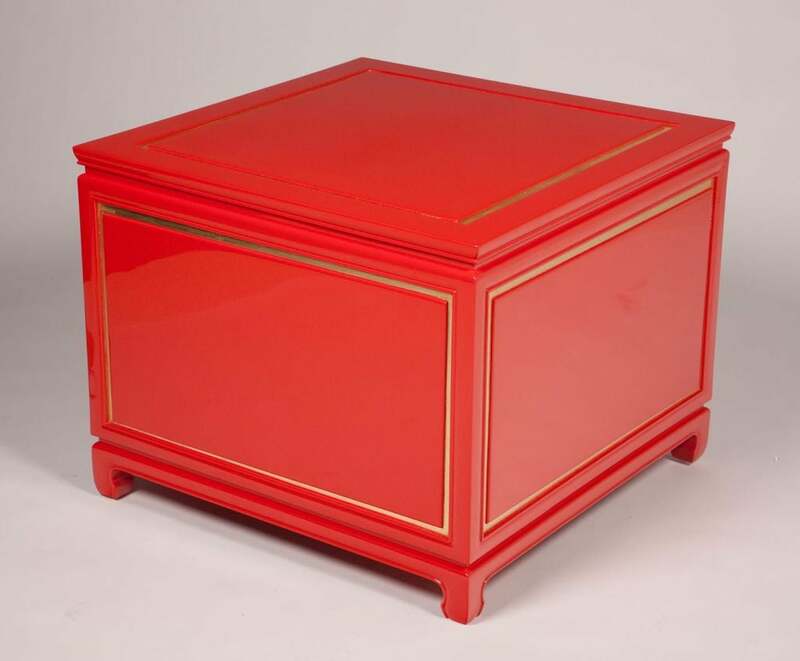 Visit Quotientnyc.com to view our complete collection. 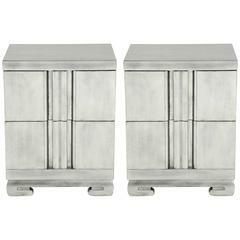 Fantastic pair of Hollywood Regency glazed silver leaf two drawer nightstands. 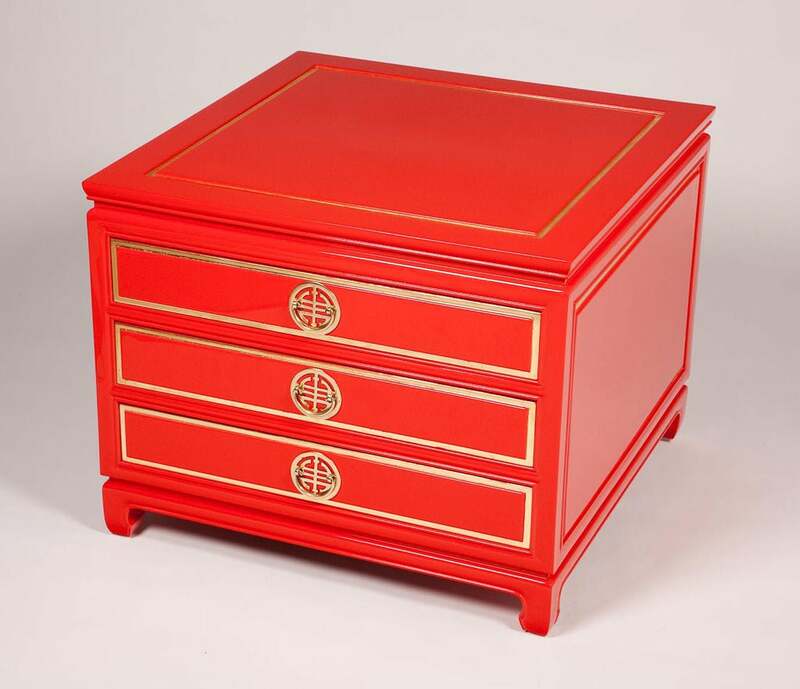 Side cabinets have a chinoiserie influenced base and center fluted detail. 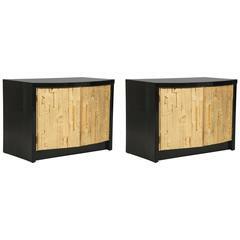 Pair of Brutualist influenced sidecabinets with a high gloss black lacquer case and 22-carat gold leaf front panels. 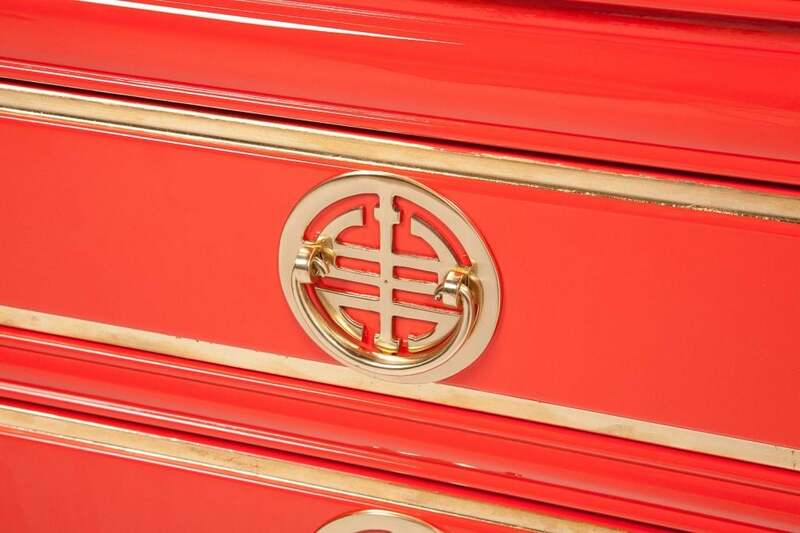 The gold panels resemble some works done by Louise Nevelson. 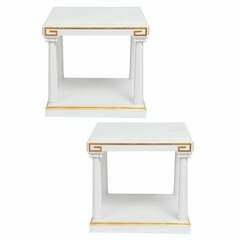 Pair of Italian Louis XV style painted and silver leaf bombe commodes with faux marble tops, circa 1960s.